A. Our delivery fee starts at just $2.99 for up to three miles from your restaurant of choice, after that it's just an extra buck per mile. In order to keep prices low and for faster service we encourage you to place your order online or through our app. A phone order fee of $1.00 will be added to all call-in orders. Q. Can I order from multiple restaurants? Q. Can I cancel my order once it has been placed? A. Once your order is placed with the restaurant it CANNOT be cancelled. Occasionally, you can catch us before we place the order, the sooner the better. Feel free to try at 432-262-8100. A. We are in many wonderful cities and towns all across Texas! To find out if we service your area simply go to www.txtogo.com and type in your address. If we aren't in your neighborhood yet feel free to shoot us an email at support@txtogo.zendesk.com and ask that we come deliver to your neck of the woods. A. A. Most orders are delivered in around 45 minutes. Depending on delivery volume we may quote longer, but rest assured we will do everything we can to get it to you hot and fresh. Quote times are an estimate, not a guarantee. You may keep up with the progress of your order through My Account or by selecting to receive notifications sent to you via text message or email. If you need to receive your order at a specific time, please use our "Deliver To Me Later" feature to schedule an advanced order. Q. Will my food still be hot when it arrives? A. Absolutely! Hot food is our priority. We won't place your order at the restaurant until we have a driver available and all meals are transported in thermal catering bags that are specifically designed to keep your food hot and fresh. A. You can check out with all major credit cards. Sorry we no longer accept cash for orders, but it makes for a great driver tip! Q. I don't see my favorite restaurant, what gives? A. We attempt to partner with the best restaurants in each city. 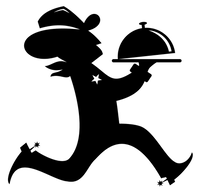 If your favorite restaurant isn't on our site yet just ask them to get ahold of us at www.txtogo.com/restaurantsignup and we'll get 'em rolling!